They were chasing the revolution together, though the more they chased it the more distant it became. They battled the bad 'isms' (sexism, imperialism, capitalism, fascism, consumerism), and fought for the good 'isms' (feminism, socialism, communism, egalitarianism). They were constantly running, moving, hiding. 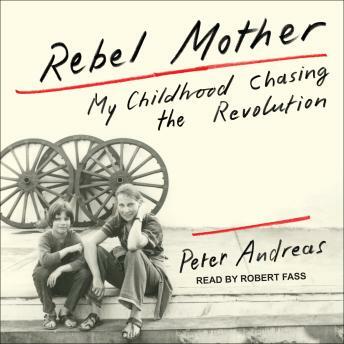 Between the ages of five and eleven, Peter attended more than a dozen schools and lived in more than a dozen homes, moving from the suburbs of Detroit to a hippie commune in Berkeley to a socialist collective farm in Chile to highland villages and coastal shantytowns in Peru. When they secretly returned to America they settled down clandestinely in Denver, where his mother changed her name to hide from his father.